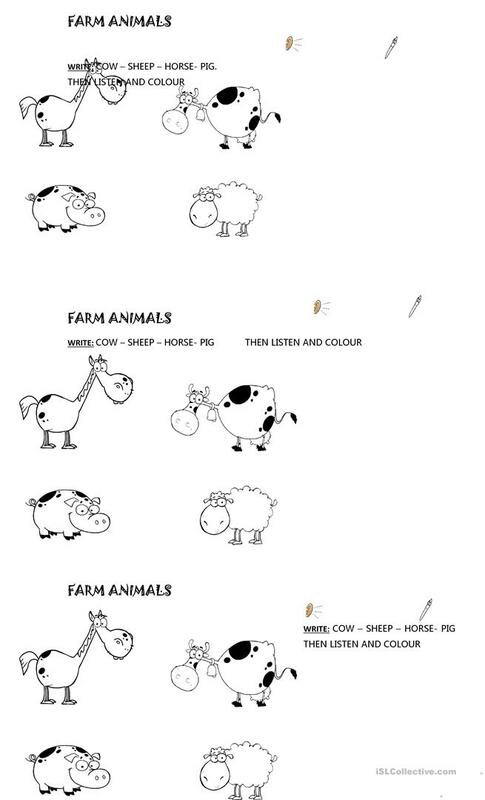 Let´s practise farm animals.Then listen to your teacher to colour. The present downloadable worksheet is best suited for kindergartners and nursery school students and students with special educational needs, learning difficulties, e.g. dyslexia at Beginner (pre-A1) and Elementary (A1) level. It is useful for strengthening your students' Listening and Writing skills. It features the theme of Animals.